As the flagship Credit Summit approaches, Credit Strategy highlights the essentials to help you plan your day and make the most of the biggest event of the year. The most important five days of 2019 are upon us, and at its centre is the Credit Summit. The Credit Summit, sponsored by Experian, taking place as part of Credit Week, will feature eight individual conferences for professionals across the entire spectrum of credit. The Credit Summit is the largest of its kind. Running in the middle of credit week (March 18-22), it consists of separate conference streams ensuring that there is always something for everyone. Here, we pick out the highlights of the day to help you plan your time at the biggest gathering of credit professionals in Europe. 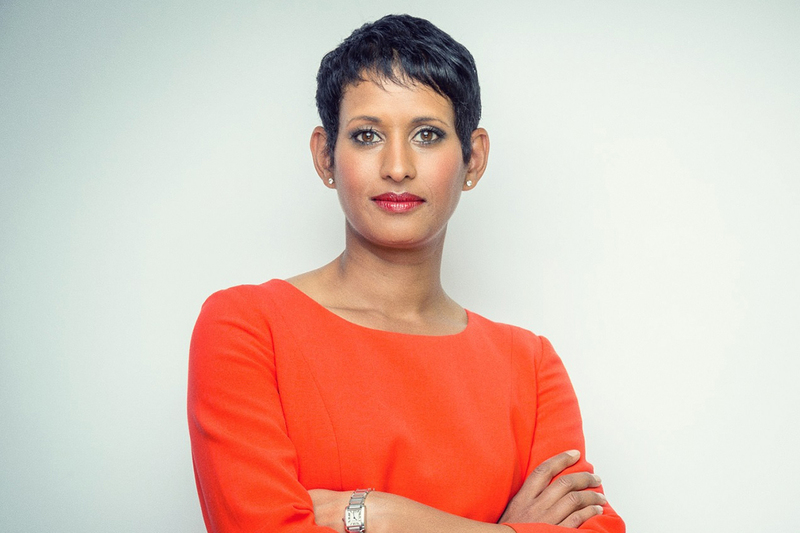 Credit Strategy is proud that Naga Munchetty (pictured) is to chair the Credit Summit. A familiar face to BBC Breakfast viewers, Munchetty is a regular on BBC Radio 4, having presented Moneybox and Pick of the Week. In 2014, she was named by the Asian Power List as one of the UK’s most powerful Asian women. As Brexit looms large, this year’s Credit Summit brings you the Brexit Sessions, in which senior economists will forecast the UK’s prospects. Already, the Financial Conduct Authority (FCA) is facing a £30m bill in the year running up to Brexit, with firms carrying some of the cost. In the Industry Wargames plenary panel, delegates will hear in detail how major banks are ultimately preparing for the country’s departure from the EU, including moving some operations to Europe. The plenary will also play host the Women in Credit panel, which will explore supporting diversity in the workplace. Credit Strategy is proud to champion the progress of gender equality and diversity. Despite the great strides that have been made in the area, eight of the nine Bank of England Monetary Policy committee members are men and, broadening it out to the wider UK business landscape, just seven out of the FTSE 100 chief executives are women. Speakers include American Express chief credit officer Arvind Varadhan, Metro Bank chief risk officer Aileen Gillan and Nationwide chief risk officer Julia Dunn. Away from Brexit, the Future of Credit sessions, sponsored by TransUnion, will shed light on how the array of online and mobile options are changing the paradigm in lending and increasing focus on customers, particularly in product design. The reliable provision of utilities and telecommunications is crucial to customers across the UK. That fact was starkly illustrated at the start of January, when regulator Ofgem stepped in to ban Economy Energy from taking on new customers until it improved its customer service. While Economy Energy had three months to improve its service, days later it announced it had ceased trading, with Ofgem appointing a new supplier for its customers. The Utilities & Telecoms stream at this year’s Credit Summit will explore the regulatory landscape, customer service and complaints management, consumer protection and much, much more. Speakers this year include Clive Jacobs, head of credit at Orsted Energy, Mark Chapman, head of collections, complaints and social media at Ovo Energy and Penelope Clarke, head of credit risk at Vodafone. A year on from the introduction of Open Banking and permissioned sharing of customer data, the Open Banking stream at the Credit Summit, sponsored by Equifax and Accountscore, will consider the range of possibilities the scheme offers, its potential in terms of protecting vulnerable customers and its role in collections. For businesses across the UK, trade credit is absolutely vital. In 2018, ministers pledged to reform for the way in which large companies pay small businesses in the UK to ensure they enjoyed greater cashflow. Sessions in the Trade Credit stream at the Credit Summit 2019 will explore the potential role artificial intelligence can play in the process, while assessing risk and credit management in Europe will also feature strongly, particularly in the context of Brexit. Speakers include Diana Keeling, head of compliance at Ian Williams, James Gardiner, global head of underwriting and operations at Shell Trading and Adrian Johnson, credit director at Harley-Davidson Europe. Assessing a customer’s ability to afford credit is a vital element of calculating credit risk. The introduction of technology such as Open Banking is allowing lenders more visibility of customer’s ability to afford their loans than ever before and allowing them to establish repayment plans. Meanwhile, the advent of the IFRS 9 accounting standard is encouraging lenders to sell debt earlier in its lifecycle. Not only that, more comfortable to do so than at any time in recent years to pass portfolios onto collections agencies thanks to the sector’s professionalisation. The Credit Risk & Collections stream at this year’s Credit Summit will look in-depth at recognising vulnerability in customers and the importance of culture in collections, along with much, much more. Speakers include David Poole, chief risk officer at BrightHouse and Victoria Stubbs, chief risk officer at Cambridge Building Society. The alternative lending sector is undergoing considerable change. Regulation is exerting an increasing influence on lenders across the spectrum, while there has been pressure on the market in the form of complaints management companies. The Alternative Lending Stream at this year’s Credit Summit will look in-depth at effective customer engagement, how to best undertake complaints management and the role of technology in the sector. Speakers include Tamas Kopanyi, head of credit risk at Argos Financial Services and Nick Beal, director of legal & compliance at Amigo Loans. The European non-performing loan (NPL) market reached a new peak in 2018 with disposals totalling €205.2bn (£184.2bn) in gross book value (GBV), according to Debtwire ABS. The most active country was Italy, which produced half of the total volume of NPL sales. The CDSP European NPL stream at the Credit Summit will examine what’s driving investment decisions in 2019, emerging markets and include market focus sessions on Greece, Italy and Central and Eastern Europe. Speakers include Andreas Koutras, head of portfolio risk management at FBN Bank. The Credit Summit takes place on Thursday, March 21, 2019 at the QEII Centre in London. Spaces are limited. To book your place, visit the Credit Summit website.